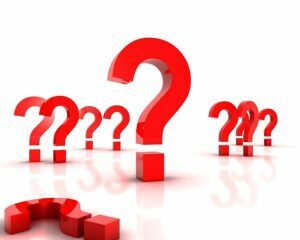 What questions should you be asking a mold remediation company before hiring them? Get a “yes” answer to this quick list of questions before hiring a mold remediation company to remove the mold in your home. 1) Will the contractor/mold remediation company give you a written contract or change order? 2) Is the contractor prepared to provide you with a remediation plan? 3) Doe the contractor carry insurance? 4) Are the contractor’s employees trained and certified? 5) Does the contractor/mold remediation company set up containment to prevent cross-contamination? 6) Does the contractor use negative air machines and air scrubbers to clean the air? 7) Is the contractor willing to provide you with referrals and their contact details? It’s always a good idea to ask these questions so that you can feel confident when you are hiring a mold remediation company. At CCS Property Services, we provide a FREE mold assessment of your property. The assessment allows us to provide a good faith estimate of the work to complete the mold removal and remediation. Keeping your home healthy will help your family breathe easier. If you see or smell mold or mildew on a continuing basis, it’s time to call in a qualified mold removal company. Be the hero for your family! Call CCS Property Services at 920.435.2288. For more information regarding mold, please view our NEWS Section. ← I Don’t Know Why I Have Mold?